Casually refined, the Pierce 3-Pack Cocktail set offers an easy solution to your living room storage and style needs. Simple in structure, this grouping features clean and straight lines for a classic look. A dark brown finish on the woodwork emanates warm tones to instantly comfort, and spacious table tops provide plentiful space for setting miscellaneous items and living accessories. Keep the remote control handy or place a lamp on either of the matching end tables, and serve snacks on the convenient coffee table. Complete your living space with the simplicity of this cocktail set. Also available in a larger size. 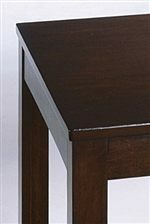 The Pierce Pierce 3-Pack Cocktail Set with 2 End Tables by Rooms Collection One at Rooms Furniture in the Houston, Sugar Land, Katy, Missouri City, Texas area. Product availability may vary. Contact us for the most current availability on this product. Finish Features a warm brown finish. Finish & Paint Options Each piece of furniture is handcrafted using imported Asian hardwood and veneers. Drawer / Shelf Construction English and French dovetailing to maximize storage capacity and strength. Drawers also feature ball-bearing glide components. Description: Top Fully assembled tops. Case Construction The collection uses a combination of selected hardwood and softwood solids, veneers, and wood and/or simulated wood products. Complete your living space with the Pierce occasional collection. This assortment of end tables, cocktail tables, and chairside tables in a variety of sizes makes it easy to add plentiful storage space to your home. 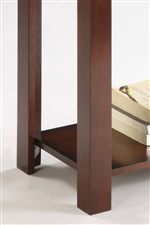 Crafted from wood veneers and solids, each piece has a warm brown finish to comfort and soothe. Clean lines and straight edges make for a casually refined look for a tasteful, classic feel in your home. The Pierce collection is a great option if you are looking for Casual furniture in the Houston, Sugar Land, Katy, Missouri City, Texas area. 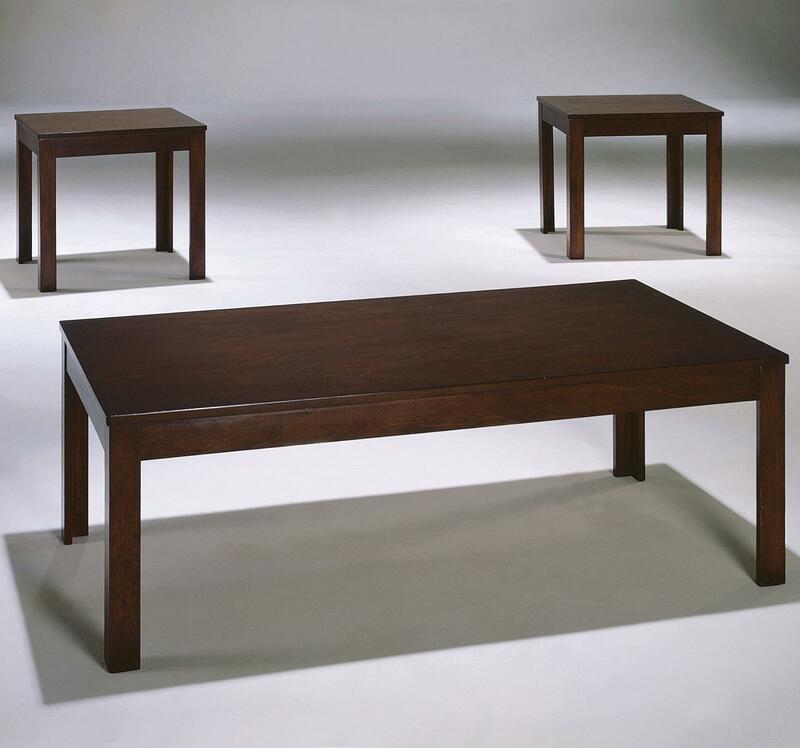 Browse other items in the Pierce collection from Rooms Furniture in the Houston, Sugar Land, Katy, Missouri City, Texas area.